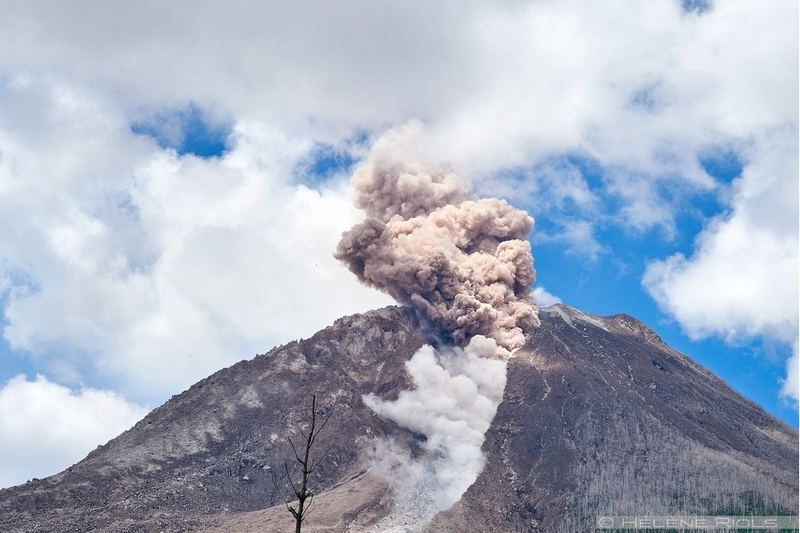 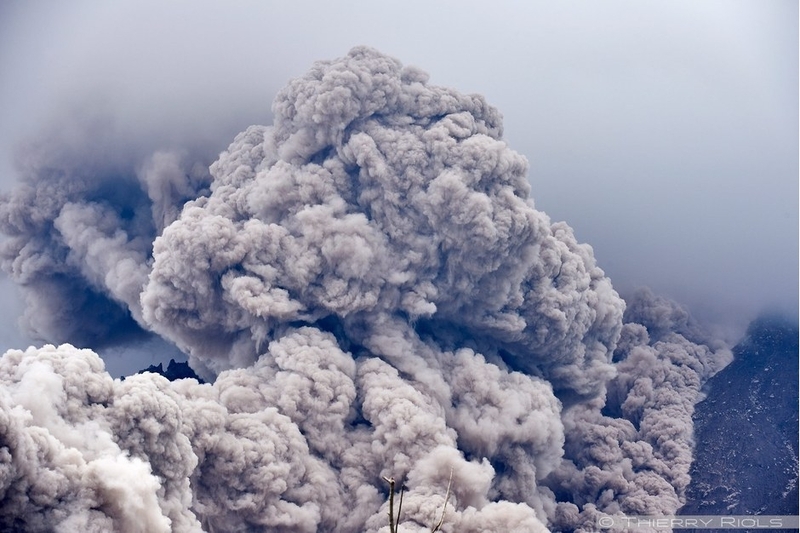 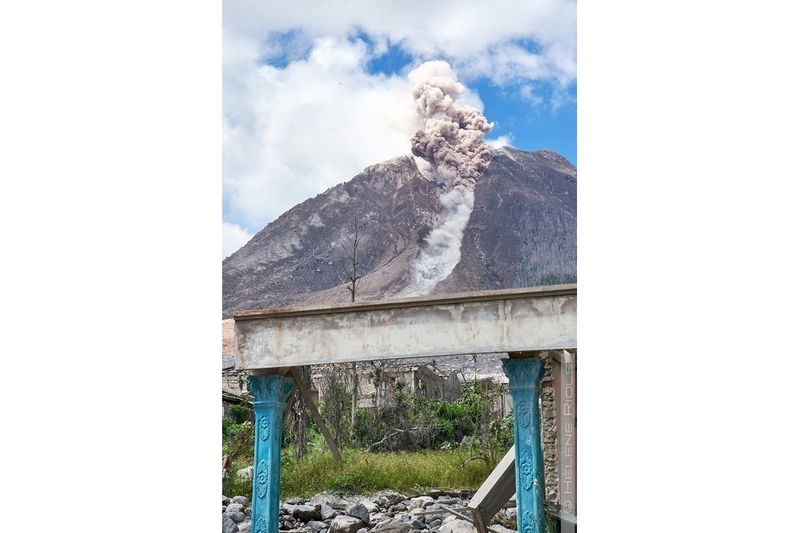 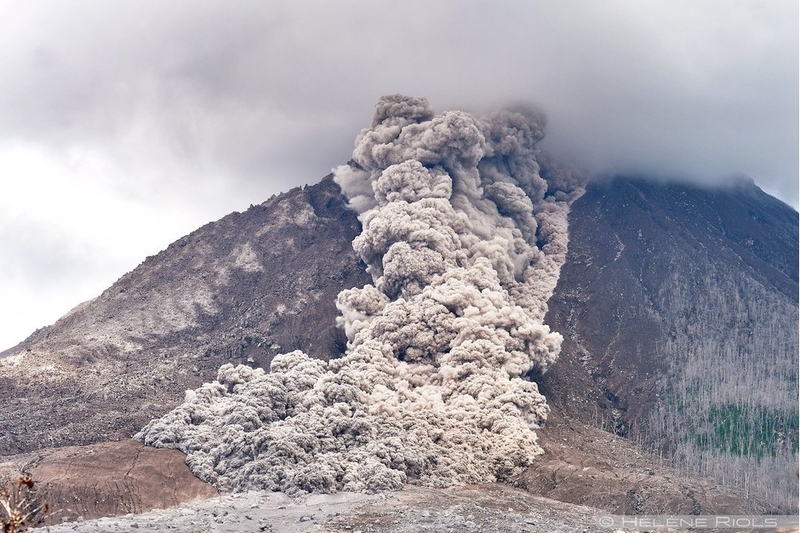 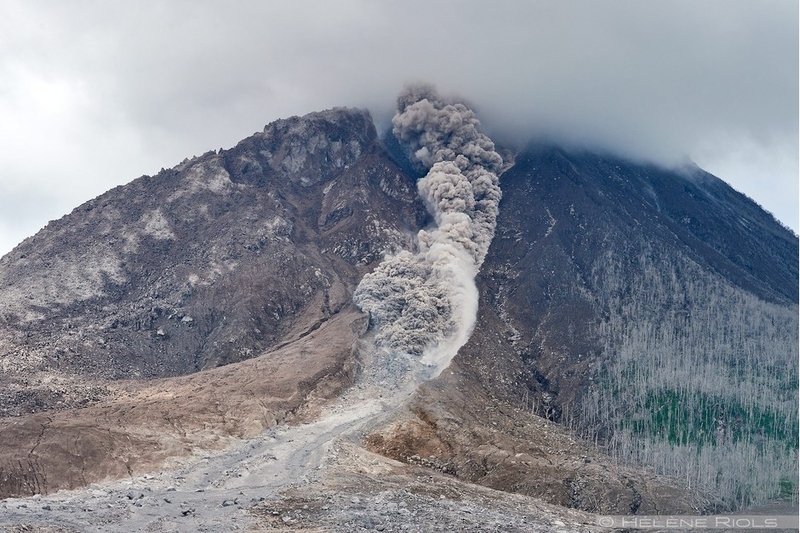 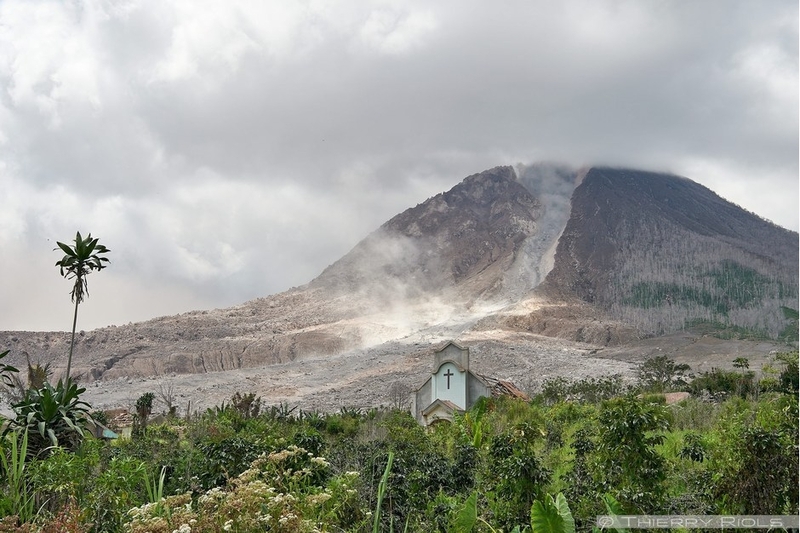 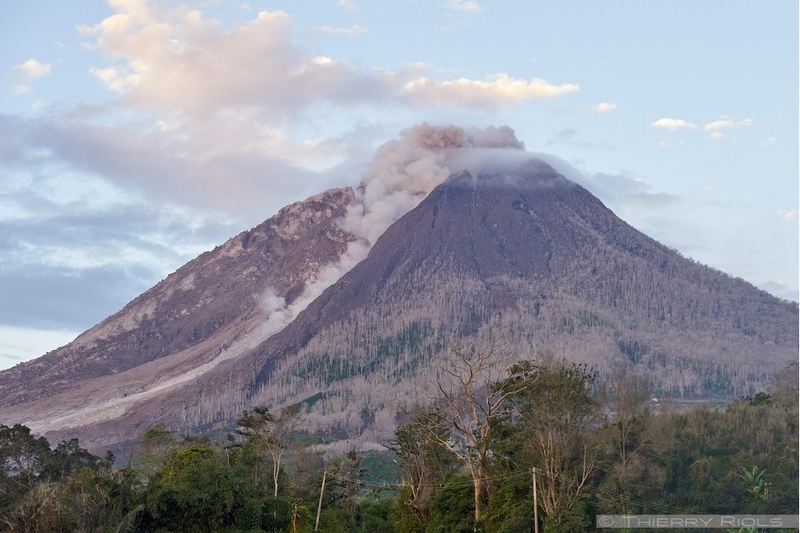 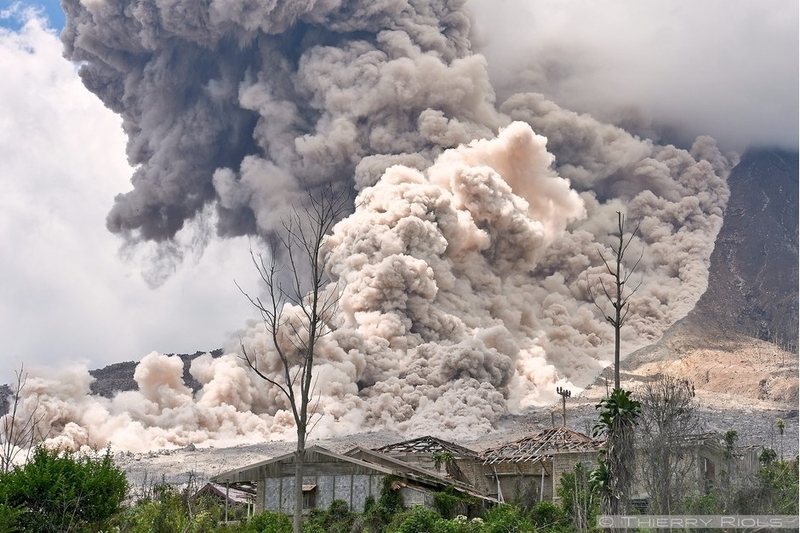 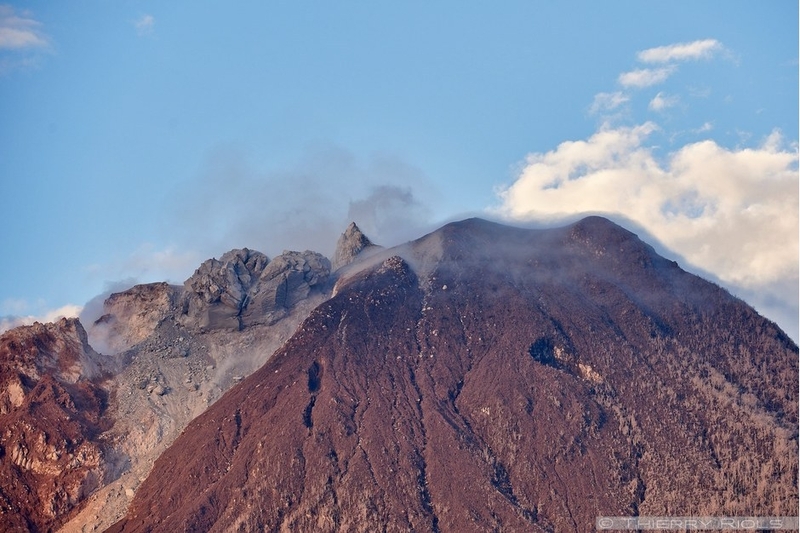 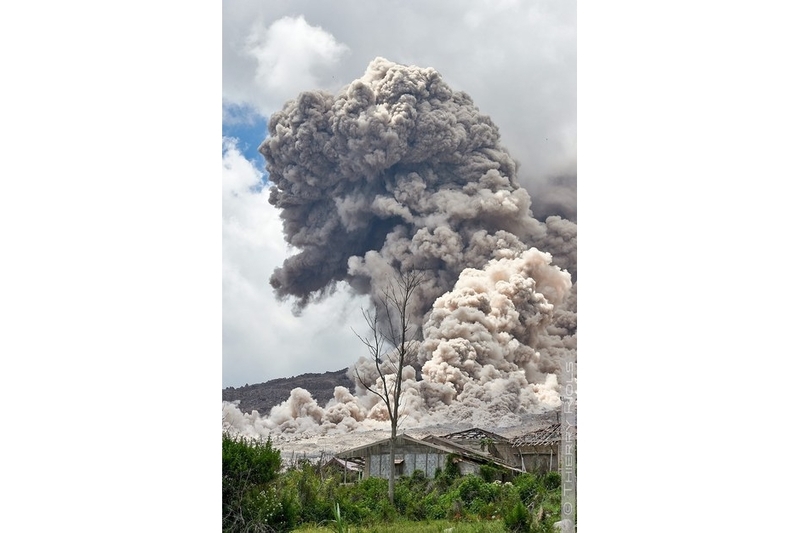 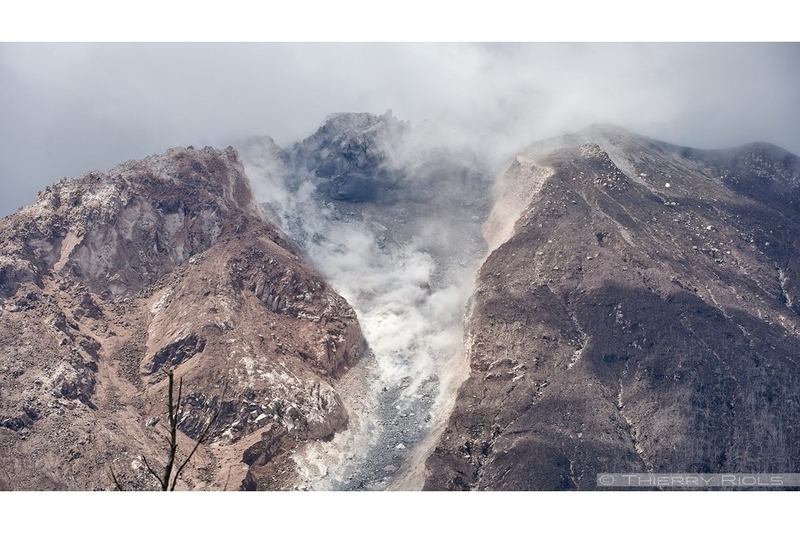 The Sinabung stratovolcano located a few kilometers from the town of Brastagui, north of the island of Sumatra, culminates at 2460 meters high. 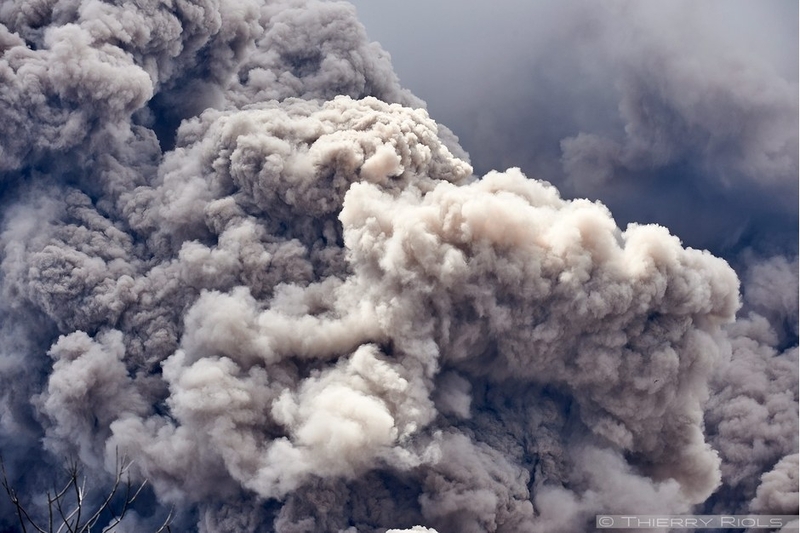 He woke up in 2010 after 400 years of sleep. 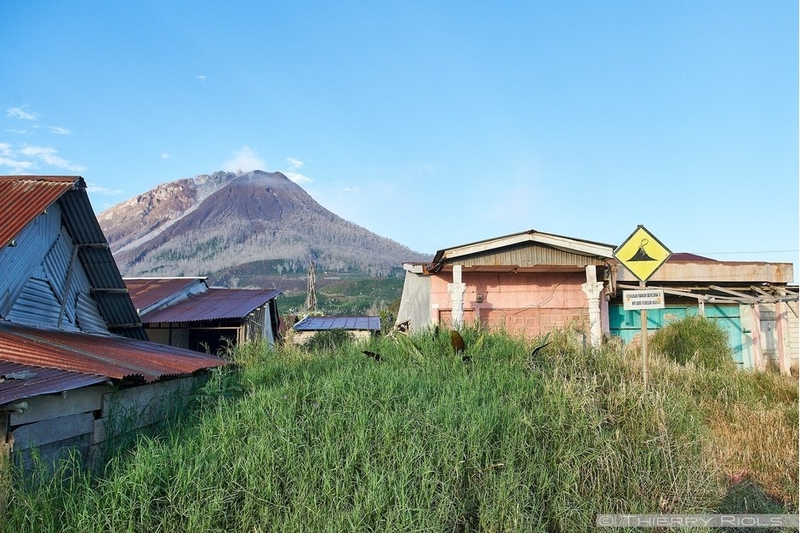 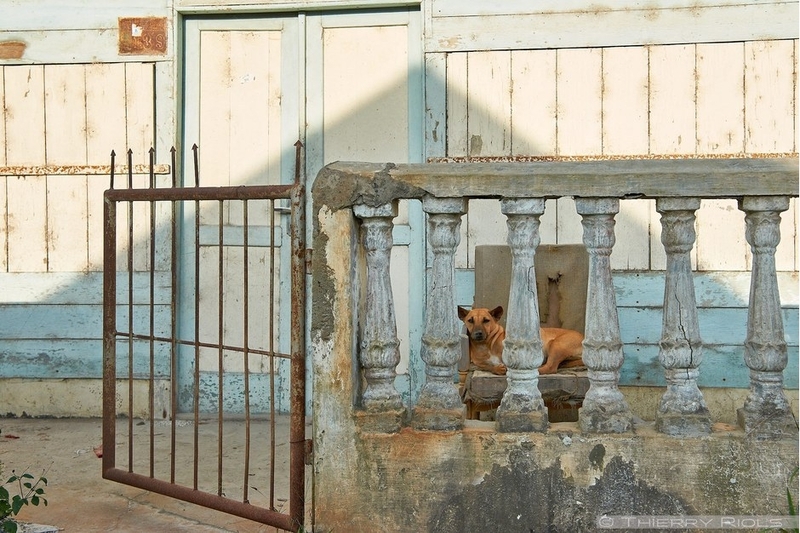 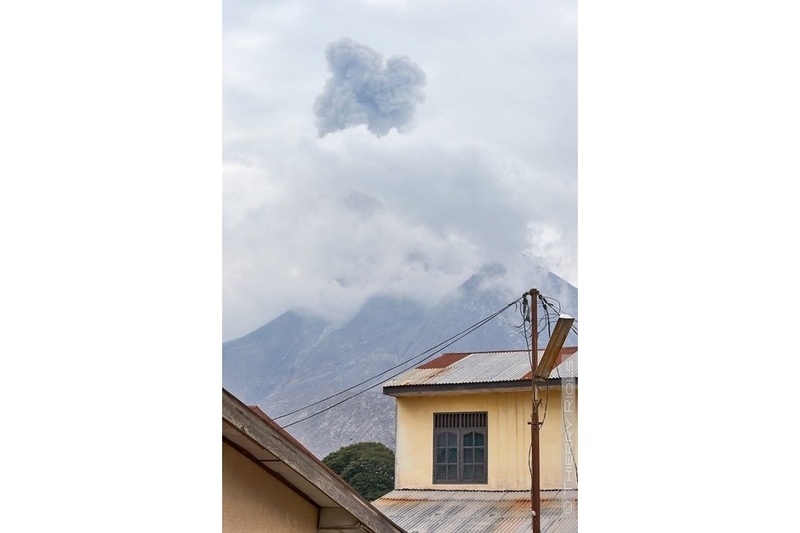 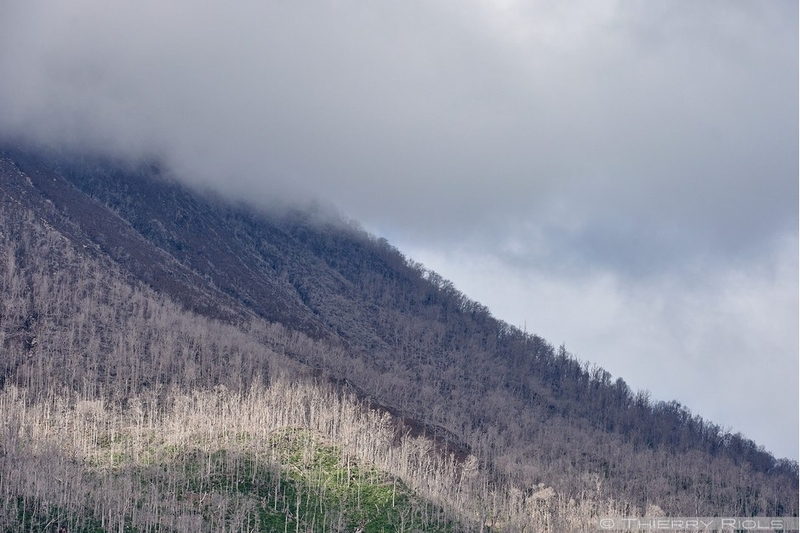 The villages in a 5 km radius were evacuated before powerful eruptions since 2013. 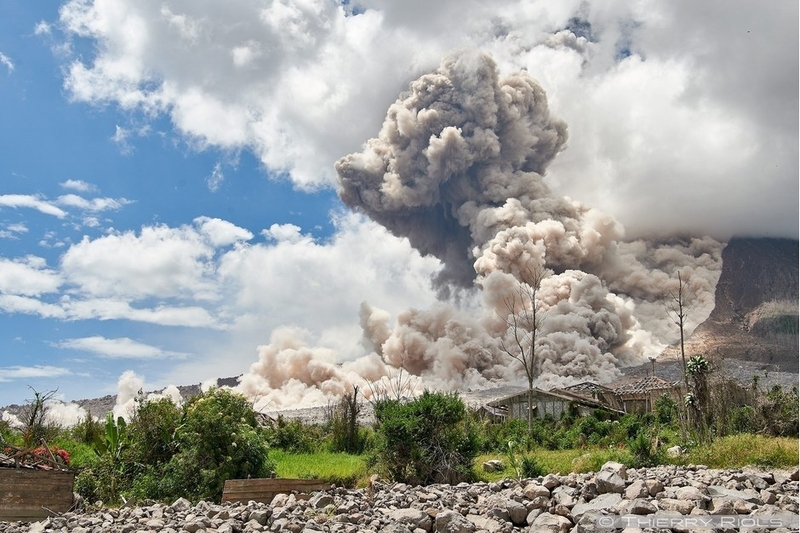 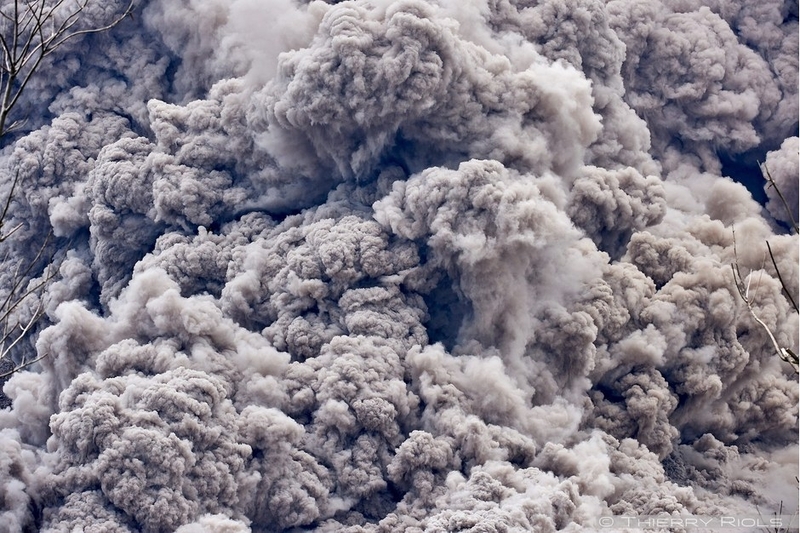 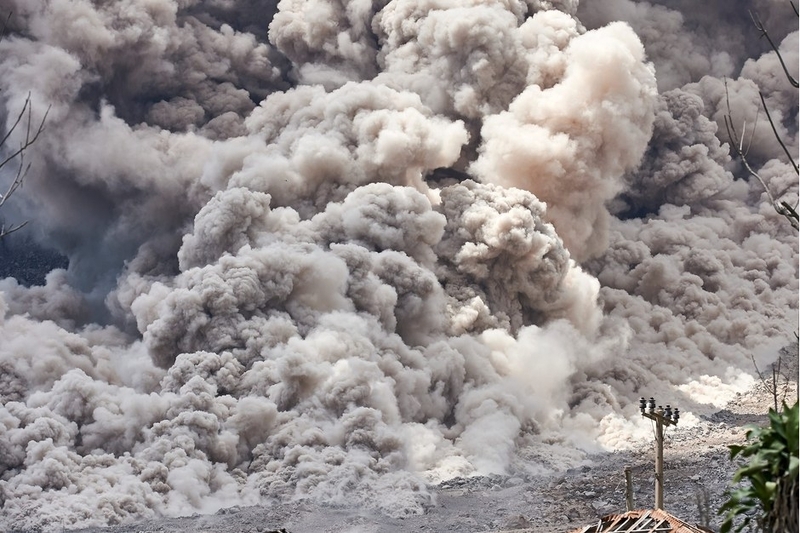 The volcano product dangerous pyroclastic flows that destroyed the village of Simacen located 2 km from the crater at 1515m altitude. 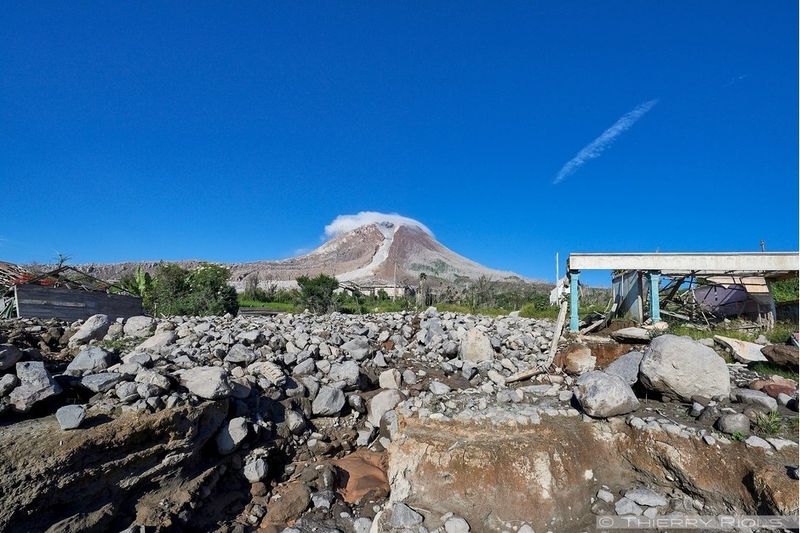 During our visit in January 2016, the volcano has made several small eruptions and pyroclastic flow particularly impressive.